Master the system calls at the heart of today's UNIX and Linux systems: the programming interfaces that drive the UNIX and Linux kernels and run everything from filesystems and multitasking to interprocess communication. 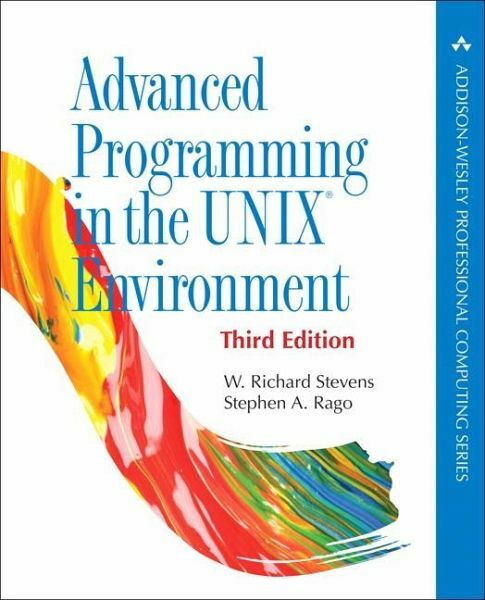 A thorough knowledge of system calls is essential for every UNIX and Linux programmer -- and for 20 years, W. Richard Stevens' Advanced Programming in the Unix Environment has delivered that. Now, Stephen Rago has completely updated this classic to reflect modern distributions including Red Hat 2.6.x, Solaris 10 3, OS X 10.5.4, FreeBSD 7.0.5 -- and for the first time, Ubuntu. As in previous editions, Rago begins with essentials such as file and process control, carefully laying the groundwork for more advanced techniques. He supports his crystal-clear explanations with nearly 10,000 lines of code, all carefully tested on each of these leading versions and distributions. Rago begins with an up-to-date overview of the UNIX System, its standardization processes, and its diverse implementations. Next, he introduces file I/O, files, directories, and the Standard I/O Library. You'll walk through working with UNIX/Linux system data files and information… controlling the process environment and its relationships… using signals, threads, and daemon processes… mastering advanced I/O techniques, interprocess communication, sockets, and advanced IPC… using Terminal I/O and Pseudo Terminals… working with database libraries, communicating with network printers, and much more. Appendices provide essential information on function prototypes, miscellaneous source code, and solutions to many of this guide's exercises. 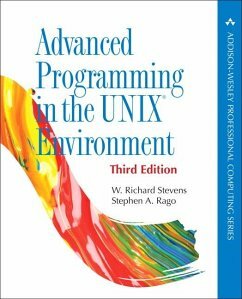 For all intermediate-to-advanced level UNIX programmers and software engineers.